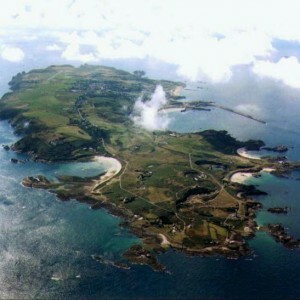 Following Jersey and Guernsey, Alderney is the third largest of the Channel Islands and it is the nearest to mainland Britain. Also known as the States of Alderney, this relaxed and friendly island enjoys a milder climate than that of the UK and offers a plethora of watersports and leisure activities to visitors and residents alike, including surfing, sailing, and cycling. Alderney’s professional 9-hole golf course and excellent sea-fishing add to the island’s appeal as do its popular tennis and squash facilities. As a business destination, Alderney welcomes entrepreneurs seeking to establish their small to medium sized businesses, and can provide substantial tax advantages and offshore company benefits in addition to the latest computer and telecommunications technology and robust business support. Alderney’s mature property market also offers a good range of commercial and residential properties, and is recognised as one of the easiest of the Channel Islands in which to purchase property. With so many incentives to relocate to Alderney, New Forest Removals has a great deal of experience in doing Alderney removals and has been doing removals to and from the island for the past 30 years. In fact, having worked so extensively in carrying out Alderney removals, New Forest Removals is the only Channel Islands removals company with work permits to work on Alderney. It’s safe to say that we have the most experience when it comes to Alderney removals, and whether you require a 20 ft container to be shipped to Alderney or just a smaller amount on our part load service, we are the right company to help you make a smooth and easy transition either to or from Alderney. When handling your Alderney removals, all of your possessions are insured with our full liability cover. New Forest Removals is also sure to get you to or from your Alderney property as easily as possible, even to the most difficult or awkwardly accessed locations, with our small vehicles that are already on the island standing by to assist with any tricky Alderney removals. Alderney removals can also include the transport of your car to or from any location worldwide. For Alderney removals, as for removals from the smaller islands of Herm and Sark, New Forest Removals’ vehicles carry the 10 or 20 ft containers directly to your new property where our staff pack and load your belongings. The second phase of Alderney removals entails shipping and transporting your effects, before finally unpacking and setting up your belongings as required. This takes the extra handling of effects on and off of vehicles out of the equation for Alderney removals and ensures that your moving experience is straightforward and stress-free. New Forest Removals is the only company to offer this service directly for Alderney removals. Our continuous work permits also allow us to work legally when carrying out Channel Island removals. At New Forest Removals we are proud to be recommended by all three of Alderney’s Estate Agents for a guaranteed smooth move to Alderney. Alderney Removals? Call today on 01590 623 777.